Prof. Dr. Ir. 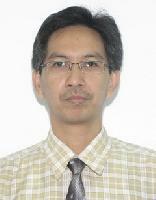 Soeprijanto M.Sc.,	Prof. Dr. Ir. 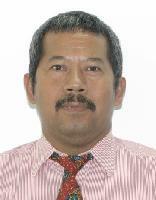 Mochamad Ashari M.Eng. This paper proposes a placement technique of wind turbines to optimize the total output power and cost in a wind farm using firefly algorithm. The research considered the wake effect of wind turbines and was run for 3 cases: constant wind speed and constant wind direction, constant wind speed and variable wind direction, variable wind speed and variable wind direction. It focused on finding the best position of each turbine in wind farm to minimize the impact of a turbine on others in term of harnessing the power. The simulation shows that the best position was achieved when 73 turbines are installed in Wind Farm with total power 37,611 kW ( 518.4 kW each) and 2 kilometers square length of area when wind speed 12 m/s and wind direction constant.